Boundries - First Proprietor - Soil-First Pioneers - A. Garrisoned House - Rattlesnakes-Hinckley Hunt - Settlements on the River - At the Center - Up Chippewa Creek - In the North - Horse Stealing and Counterfeiting - Pioneers before 1825 - Prominent Men between 1826 and 1835 - First Officers - Items from the Town Book - List of Officers - Town Hall - Tax of 1878 - A log grist mill - Other mills at the center - Saw mills on the Chippewa - The old Fulling Mill - Tanneries and Distilleries - Village of Brecksville - Its Post Office - Stores and Hotels - Schools - First Congregational Church - Methodist Church. Brecksville is in the southernmost tier of townships in the county. The Cuyahoga river forms its eastern boundary, and beyond it lies the township of Northfield, in Summit county. On the south is the township of Richfield, also in Summit county; while on the west and north lie the townships of Royalton and Independence in Cuyahoga County. It received its name from Robert and John Breck, two of the proprietors, who owned it in common with Reuben Dresser, Lemeul and Asabel Pomeroy, Ebenezer Hunt, Asa White and Welch & Hinckley. The township contains seventeen thousand one hundred and fifty six acres of land, the surface of which is broken by high hills and deep hollows in the eastern and central parts; but in the south and the west forms an elevated plain. It was originally covered with a heavy growth of timber, and in some localities a liberal supply of common forest trees may yet be found. The soil varies from a stiff clay to a sandy loam and is most adapted to the raising of the various grains and grasses, the latter being the principal product. Dairying largely engages the attention of the people, although much mixed husbandry prevails. The principal stream, aside from the Cuyahoga, is Chippewa creek, with its tributary brooks. That creek flows east through the township, a little north of its center. It has a small but fertile valley and in some localities its banks form high and almost perpendicular walls of shale, while in others the channel is an unbroken mass of sandstone, its banks being fringed with evergreens and tangle wood, which gives them a wild and picturesque appearance. It affords a limited water power. Brecksville was surveyed in 1811 by Alfred Wolcott, Esq., and in June of that year the first settlement in the township was made, by Seth Paine and Melzar Clark who came from Western Massachusetts. The former located on lot sixty-four, in the extreme southwestern part of the township, and died there before 1818. He had a family of two sons- Oliver N. and S. White-and two daughters. One of them Almira, married Melzar Clark who soon after removed to Royalton. After his death the widow married Henry Bangs of that township. At the breaking out of the war of 1812 the few inhabitants, for a time, kept up a little garrison at the house of Seth Paine, but as rumors of Indian hostilities became more alarming most of the people fled to Hudson, where they remained until the danger was over. After the war only a few straggling Indians were seen, and these soon abandoned the country, leaving the settlers in undisturbed possession of their homes. These were of logs, often without a nail or board, and contained but the simplest furniture and household utensils. A single article was often made to do service for cooking, baking and washing, and it is said that, in the absence of any other vessel, one of the pioneer mothers was obliged to milk her cow into a jug. Rattlesnakes were unusually abundant in the township, and would sometimes intrude themselves through the puncheon floors of the cabins of those living near the Chippewa - as many as thirteen of those unpleasant reptiles having been killed in one place. Game, also, was very abundant. We have described the great Hinckley hunt on page sixty-six of the general history, but we add a few facts not known when that description was written. It originated at the house of Seth Paine, in this township, in December, 1818. A meeting was held and officers appointed; Cary Oakes being captain for Brecksville, John Ferris captain for Royalton, Judge John Newton for Richfield, and 'Squire Freyer for Brunswick. As remembered in Brecksville, the number of deer killed was three hundred and sixty-five; of bears, seventeen; of wolves, five. These figures differ a little from those previously given, but either set shows a very good day's work. In 1811 another settlement was made in the north-eastern part of the township, by Benoni Brown and Samuel, Almon and Charles Wolcott; most of whom moved away at an early date, the former going to Bedford township. The following year Edward Johnson, a native of Pennsylvania, located on the river, above the settlement just mentioned, rearing there six sons, named Andrew, Joseph, George, William, John and Thomas, some of whom yet live in the township. About the same time William Moody, Thomas Timmins and John Breen located in the same neighborhood. The latter lived at the mouth of the Chippewa and had four sons, named John, Joseph, David and Cyrus. Andrew Dillon was also an early settler on the river. His sons growing to mature years were George, Peter and James. About the time the canal was built many deaths were caused in this locality by billious diseases. On the 1st day of January, 1812, Walter Wait and his brother-in-law expectant, Lemuel Bourne, built the third house in the township, near the present center, raising the walls that day and completing it soon after, without using any boards or nails. Although in midwinter, the weather was very pleasant and they did not suffer in consequence of having to live several days without doors or windows to their cabin. Wait soon after moved away, but Bourne settled south of the center, where he resided until his death, in 1874, at the age of eighty-three years. He had three sons, named William, Isaac and Rawson; and two daughters, named Harriet and Mary. The same season John Wait, Chester Wait and Benjamin Wait also settled in that part of the township. The last named was the first adult that died in the township, and in 1818 the wife of John Wait became the mother of the first child...a son, who on reaching manhood moved to Michigan. About the same time Bolter Colson settled in the south part of the township, where he resided until 1878. He had five sons, Orrin, Chandler, Lyman, Thomas and Newton, the last two being still residents of the township. To the center of Brecksville came, in 1812, Lemuel Hoadley and Hosea Bradford, the former building there the first mill in the township, the following year. Bradford, who was a shoemaker, lived on the public square. Both removed to Olmstead in the course of eight or ten years. Up the Chippewa Eli and Abijah Bagley located the same year. The latter had two sons, named Russia and Nathaniel. John Adams, Rafus Newell and Aruna Phelps were also settlers of the township, about this period, in the Chippewa Valley. In 1813 Aaron Rice, with a large family, moved from Franklin county, Massachusetts, to the south-western part of the township. He had seven sons, named, Silas, Aaron, Seth, William, Moses, Myron and Peter, and three daughters. His son-in-law, Ebenezer Rice, came soon after. The latter had three sons, named Dexter, Ebenezer and Aiken. Joseph and Oliver Edgarton came a year or two later. The former had a numerous family, the sons being Joseph, Elias, Erastus, Oliver, and Onick and Austin (twins). Calvin, Cary and William Oakes came with their families by ox-teams from Massachusetts in 1816, the journey consuming forty-two days. Cary Oaks had five sons, named Caleb, Henry, Francis, Isaac and Cary. The sons of William Oakes were George and William. The same year came Josiah Wilcox and his sons, Ebba, Ambrose and Orrie, also from Massachusetts. Ebba Wilcox had a son named Freeborn. Ambrose died in 1834, leaving four sons, named Edwin, Whitney, Miller and Charles. Orrin had one son named Josiah. Asa Fenn lived in the same neighborhood, and also died in 1834. He had three sons, Arnon, Plympton and Learno. The same year died Aaron Barnes, another early settler in that neighborhood, who had two sons names Giles and Jesse. In the southern part of the township Lyman J. Frost was one of the earliest settlers, and a short time later John Pomeroy and Eli Osborn were added to the list of pioneers. In 1817 Jedediah Mesch settled in the northern part of the township, and about the same time came Daniel O'Brien. Both moved away, but the following year Dr. Isaac M. Morgan came to that locality and resided there until his death. He had three sons, Charles, Harris and Consider. A son of the latter, Moses I., now occupies the homestead. Jacob Faller and his sons, Abel, Mathew, Calvin, Quartus, Willis and Samuel, Warren Cole, George W. Marsh, and William, Samuel, Isaac and Abel Varney, were all early settlers in the northern and western part of the township. On the Warren Cole place, which is at present occupied by Emmet Boyd, afterward lived G. B. Sperring, whose connection with a gang of horse thieves and counterfeiters made his place a resort of vicious characters, and a receptacle of stolen property at hours of the night when his more honest neighbors were asleep. At home Sperring maintained an eminent respectability, but he was at last suspected and arrested. 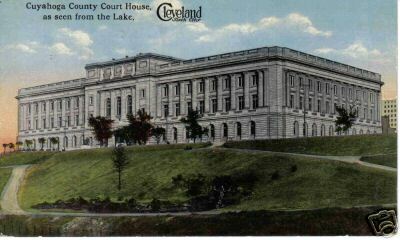 While being taken to Cleveland he effected his escape to Canada. On his farm was discovered an underground stable for stolen horses, and in the house were name evidences of the manufacturers of counterfeit money. West of this place Daniel Green settled about 1818, and lived there until his removal to Sandusky. He had three sons, named William G., John L., and Charles. A few years later Joseph Hollis, from St. Lawrence county, New York, settled in this neighborhood, but removed to Seneca county. He had two sons named Giles and George W., the latter being at present a resident at the center. At this place in 1817 settled Joseph, Allen and Alexander Darrow; the latter being the father of Nathan, John and Alvah Darrow, all of whom moved away, though some are now living in adjoining townships. At a little later period Ezra Wyatt settled at the center, and purchased the interest of Lemuel Headly in the mill property. He had five sons, named Nathaniel, Eliphalet, Darius, James and Lorenzo, some of whom yet live in the county. Besides the foregoing there were among the pioneers of Brecksville, before 1826, David McCreary, Orris Abbott, Joseph Burnham, Thomas Patrick, Andrew Benton, John Johnson, Chester Narmore, John Jenkins, Lewis Adams, Joab Rockwell, Thomas Scott, Gersham Bostwick, Joseph McCreary, John G. Joslin, T. C. Stone, Isaac Packard, Elisha Tubbs, John Pomeroy, Darius Robinson, Johnson Patrick, John Guilford, Reuben Durfee, Alonzo Castle, Chauncey L. Young, William Breckenridge, John Randall, Robert Donaldson and Jonas Haynes. Among the prominent settlers who were in the township before 1835, and who have not already been named, were David Ring, Edward Rust, Augustus Adams, Joseph H. Breck, Theodore Breck, Moses Hunt, Verarms, Lester and Charles Dewey, John Day, Hugh Stephenson, John Dunbar, William Goodell, James Foster, Thomas Sanderson, Belah Norton, Martin Chittenden, Charles B. Bostwick, Edward M. Bartlett, besides others whose names appear in the church history. Trustee, Aaron Rice, Lemuel Hoadley, Edward Johnson; clerk, John Wait; treasurer, John Adams; constable and lister, Ebenezer Rice; poormasters, Hosea Bradford, Aaron Rice, Walter Wait, Hubert Baker; road supervisors, Lemuel Bourne, Hosea Bradford, Hubert Baker, Ebenezer Rice. Charles Wolcott had been elected constable but he refused to serve and was fined two dollars, which was applied toward paying for a township book, which had been purchased by Lemuel Hoadley for three dollars and seventy-five cents. We transcribe some further notes from the old township books, which may be interesting. In March, 1816, Seth Paine's heirs sold an estray ox for twenty-five dollars and seventy-five cents, charging the township twelve dollars for his keeping. The balance was turned over to the treasurer, who reported that he had settled the account of Lemuel Hoadley, and that there now remained unappropriated in the treasury, twelve dollars-a very good exhibit indeed. At an election held in October, 1815, to choose county officers, seventeen votes were polled. In March 1816, Aaron Rice, Eli Bagley and John Wait were chosen grand jurors; Silas Rice and Charles Wolcott, petit jurors. A week later the trustees had a meeting to settle with the road supervisors. They reported "that Hosea Bradford and Ebenezer Rice had done their duty, and that Lemuel Bourne and Hubert Baker were deficient." At an election for justice of the peace, held February 17, 1817, John Wait received twenty-nine votes; Hosea Bradford, one; and Edward Johnson, one. In November, 1817, the overseers of the poor, Calvin Oakes and Aaron Rice, commanded Silas Rice, the constable "to order Hubert Baker to depart from the township of Brecksville without delay." He served the writ, receiving therefore thirty-seven and a half cents. Later that season and the following year as many as fifteen person were warned to depart from the township in order to prevent their becoming public charges. From 1815 to the present time (1879) the principal officers of the township have been the following. 1817: Trustees, Edward Johnson, Lemuel Hoadley, Wm. Oakes; clerk, John Wait; treasurer, Hosea Bradford. 1830: Trustees, Jacob Fuller, Aaron Barnes, Aaron Rice, Jr.; clerk, William G. Green; treasurer, Chauney L. Young. 1851: Trustees, C. D. Rich, John Fitzwater, I. H. Ballow, clerk, George W. Oakes, treasurer, C. C. Chapin Jr.
1852: Trustees, C. B. Rich, John Fitzwater, Moses Hunt, clerk, Wm . W. Wright, treasurer, C. C. Chapin Jr.
1853: Trustees, C. B. Rich, Aaron Rice, Moses Hunt, clerk, Wm. W. Wright, treasurer, C. C. Chapin, Jr.
1854: Trustees, C. B. Rich, Aaron Rice, John Fitzwater, clerk, John Coates, Treasurer, C. C. Chapin Jr.
1855: Trustees, Theodore Breck, Moses Hunt, John Fitzwater, clerk, R. W. Fairchild, treasurer, C. C. Chapin Jr.
1856: Trustees, Theodore Breck, Moses Hunt, John Fitzwater, clerk , James H. Coates, treasurer, C. C. Chapin Jr.
1866: Trustees, H. H. Snow, Peter Dillow, F. Oakes, clerk, Charles S. Burt, treasurer, J. H. Coates. 1868: Trustees, H. H. Snow, Peter Dillow, Alonzo Watkins, clerk, Charles S. Burt, treasurer, J. H. Coates. On the 29 of April, 1872, the legislature empowered the trustees of Brecksville to borrow money to build a town hall, and to issue the bonds of the township for the payment of the same. Under this act money was procured to build a very fine hall on the north side of the public square, at Brecksville Center. It is constructed of brick, with a shapely belfry, and was completed in 1874, at a cost of four thousand five hundred and twenty-two dollars. In 1878 the trustees of the township made the following levies: For township purposes, three-tenths of a mill; for roads, one and one-fourth mills; for grading hills, two-tenths of a mill; for bridges, one-tenth of a mill; for a poor fund, four-tenths of a mill; and for a vault, one mill. The latter has been erected at the center, and the cemeteries controlled by the township indicate a careful attention. Brecksville has good roads, and the streams are well bridged. The Valley railroad will pass through the township and supply rapid communication; just across the river good shipping facilities are afforded by the canal. Owing to the limited water power, but little manufacturing has been carried on in the township. The first machinery of any kind operated by water-power was the loggrist mill, put up at the center by Lemuel Hoadley in 1813. The burr stones were of common granite, found in the woods near by, and may yet be seen near the site of the old mill. In 1820 Ezra Wyatt put up a famed gristmill at this point, and also built a sawmill. In the course of time Robert Prichard supplied steam power. Only a gristmill is operated there at present. It was built by the present proprietor, Thomas Dunbar, and is supplied with two runs of stone. Below this point, on the Chippewa, sawmills were built in former days, by Ambrose & Ebba Wilcox, by Young and Allen, and by Abbott & Bostwick. Above the center sawmills were also erected by Rufus Newell and Samuel Varney. All have been discontinued. In the northern part of the township, as a small brook, John Randall built a gristmill which is at present operated by Antoine Eckenfells. Near this place, on the west side of the State road, is a large building in which Jackson Janes once had a cloth-dressing establishment. Subsequently wooden ware was made there but the building has long been unused. Tanneries have been carried on by Darius Robinson, above the center; by Seward & Higgins, at that place, and by George Curtis on the Spring brook, but these, too, have long since passed away. Joseph Edgarton and Ely Osborne had distilleries many years ago, and George Foote carried on the manufacturing of buckskin mittens at the center. For the past eight years a cheese factory has been successfully operated there, and this and the mills at present constitute the only manufacturing interests of the township. This is on the south bank of the Chippewa near the center of the township, and is sometimes called Brecksville Center. It is the only village in the township. It has a pleasant location, and contains the town hall, a very handsome school building, a Presbyterian and a Methodist church, a number of fine residences and the stores, etc. noted below. T.J. Allen was the first postmaster of the Brecksville office, which received at the time one mail per week. The successive postmasters have been Chauncey L. Young, Asa Reynolds, and J. H. Coates. The office at present has three mails per week from Cleveland, distant seventeen miles. Charles Morgan had the first store in the place, at the stand now occupied by J. H. Coates. The intermediate merchants there were William Towsley, E. and T. Breck, Breck & Humphrey, and Alling and Fairchild. The brick store was put up by Chauncey L. Young about 1857, and Young & Clark were the first to engage in the mercantile business. J. J. Barms is the present occupant of that stand. A drug store and a harness shop were opened in the same building several years ago by Chauncey Ellsworth, and are still carried on by him. The first public house was kept by Isaac Packard in a log building which stood on the site of the Presbyterian church. Ezra Wyatt also entertained travelers at his house near the mill. John Randall built the present tavern in 1839, but it was first used as a residence. George N. Hollis has been an innkeeper there many years. Dr. Chester Wait was the first physician of the township, and was in practice from 1813 until his removal to Brooklyn. Dr. Isaac M. Morgan came in 1818, and practiced until his death. In the same period Drs. Gibb and Cleveland followed their profession. Dr. Edward Buck was in practice many years before his death in 1859, and had a contemporary in Dr. William Knowlton. The latter was followed by his son, Augustus, and he in turn by another son, the present Dr. William Knowlton. The first school in the township was taught at the center by Oriana Paine, and was attended by children from the Hoadley, Adams, Bradford and Wait families. Mrs. Benjamin Wait was also an early teacher there. In 1819 a good log building was put up in this locality for school and church purposes. In 1826 the township had three districts, No. 1 having thirty-seven householders; No. 2, twenty-five householders; and No. 3 twenty householders. These districts were soon after divided so as to provide schools in every neighborhood. The building was at first of logs, but as the country was developed these were superseded by framed houses; and nearly all those, in turn, have given way to neat and comfortable brick edifices. The one at the center was erected in 1874, at a cost of $4,000, and is a model of architectural beauty. For its size it has no superior in the country. In 1878 the township reported nine buildings, valued at $12,000. Ten schools were maintained at an expense of $2,387.75. Twenty-eight weeks of school were taught by nine female and seven male teachers, whose average wages were $30.00 per month. The pupils enrolled numbered; of boys one hundred and eighty, of girls one hundred and twelve, and the average attendance was eighty-three percent. In the summer of 1816 the Rev. Wm. Hanford, in the employ of the Connecticut Missionary Society, began preaching in Brecksville, and on the 13th of July organized the First Congregational Church of Brecksville, with sixteen members, namely, John Adams, Lemuel Hoadley, Cloe Hoadley, John Wait, Bolter Colson, Harriet Colson, Hannah Paine, Lyman J. Frost, Oriana Frost, Zelpha Wait, Lucy Wilcox, James Dickson, Mary Dickson, Joseph Rice, Orrin Wilcox and Abigail Wilcox. Those elected Lyman J. Frost as the first clerk. No deacon was chosen until October 1, 1821, when Bolter Colson was ordained to that office; and the church had no regular pastor until 1840, when Rev. Newton Barrett was ordained and installed. The Rev. Wm. Hanford supplied the church until 1823, coming from Hudson every four weeks, and under his ministration the membership increased to forty-six. The next supply was the Rev. Isaac Shaler, who continued until 1829. For the next four years the Rev. J. H. Breck was the supply; but in 1833 he was succeeded by Rev. Joseph Pepoon, who remained until 1834. That year came Rev. Chester Chapin, and continued until 1837. On the 7th of April, 1840, the Rev. Newton Barrett was installed as pastor, and maintained that relation until 1848. Since that time the pastor and supplies have been the following: 1848-52, Rev. Lucius Smith; 1855-8, Rev. C. B. Stevens; 1859-61, P. S. Hillyer; 1862-6, Rev. Thomas Towler; 1868-70, Rev. Hubbard Lawrence; 1871-4, Rev. G. C. Reed; 1875-9, Rev. J. McK. Pittinger, and since May, 1879, Rev. John M. Davies. The first meetings were held at the house of Hosea Bradford, near the square. In 1819 a log schoolhouse was built, on what was afterwards known as the Deacon Hannum place, which was used until the fall of 1830 when a small framed house was built for a church, at the cost of $200. A better place of worship being demanded, the "First Congregational Society" was formed, under the laws of the State, on the 21st of June, 1834, to attend to the temporal affairs of the church. The first officers were Belah Norton, Wm. H. Judd, and Wm. Breckenridge, trustees: William Oakes, secretary; Philip Gass, treasurer; and Darius Lyman, collector. In addition to the foregoing the constitution was signed by Bolter Colson, Moses Hunt, Cary Oakes, E. M. Bartlett, Peter Goodell, Moses Boynton, Francis Oakes, Augustus Adams, William Burt, Theodore Breck, Giles Kellogg, Otis Pomeroy, C. Hannum, Jason Jones, Edward Rust, John L. Thomas, and others. The present trustees of the society are L. T. Rust, O. P. Foster, O. P. Hunt, Michael Rudgers and B. Van Noate; L. R. Ring is the clerk, and J. H. Coates treasurer. In the fall of 1834 the meeting house was removed to a place near the present cemetery by a committee composed of Thomas Patrick, Jared Clark, Dorus Lyman, Daniel Carrier and William Hurt. Ten years later, work was begun on the present church edifice, under the direction of the following building committee: Augustus Adams, Cary Oakes, Theodore Breck, Joseph Bardwell and E. M. Bartlett. It was completed at a cost of about $3,000. and was dedicated October 30, 1844. Subsequent repairs have rendered the house comfortable and attractive, and together with the parsonage, erected in 1842, it constitutes a very good church property. In 1876 the church became Presbyterian in form, and so remains to this day. The present ruling elders are Henry Dunbar, Moses Hunt and Talcott Starr. The former is also clerk of the session. The church has a membership of one hundred and five, and since 1833 has regularly maintained a Sunday school, which at present has one hundred and thirty members. L. T. Rust is the superintendent. In 1866 Augustus Adams, a member of the church donated $500. to the American Tract Society, on condition that that body should furnish thirty dollars worth of books yearly to the Sunday school in question. A very good library is maintained. of Brecksville, and some of the adjoining townships, every since. It has been repaired, and is a comfortable place of worship. The trustees who control it are A. Watkins, A. C. Hitchcock, L. F. Wyatt, and James Cleveland. The three first-named are also the stewards of the church. The society at Brecksville has been connected with other Methodist stations in Richfield and Royalton in forming a circuit, but at present is only connected with the church in the latter township. The circuit is supplied by the Rev. Moses B. Mead, of Baldwin University. The membership of the church is small, numbering but sixteen persons. The class leader is T. Norvill. The Sunday school has sixty members, A. C. Hitchcock being the superintendent.